If that is your laundry room, then I’m ashamed of mine! Even if it’s not, I love how you found “beauty” in the everyday! LOL I wish, no it’s just a display at the grocery store! If this is your linen closet, I’m going to be giving mine an overhaul (much to the chagrin of my boyfriend). Love the colors!!! AHAHA! Display at a grocery store! This shot is so pretty! 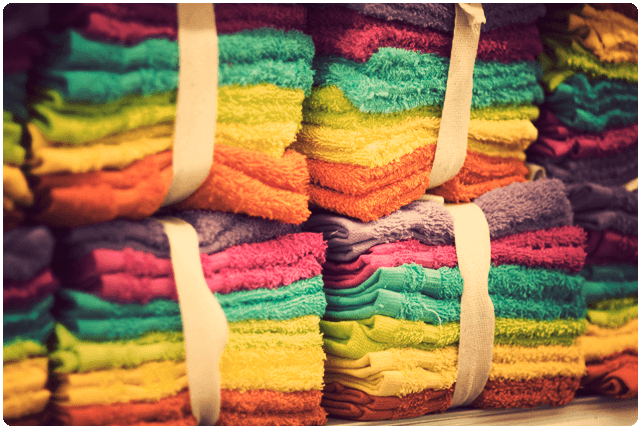 I love the thought of organizing my towels by roygbiv. Good for the grocery store! Lovely shot, Sarah. Thank you so much! I would love to have an organized linen closet…. one day LOL.